Super Eagles winger Nnamdi Oduamadi has signed a one year deal with Albanian topflight club, KF Tirana Completesportsnigeria.com reports. 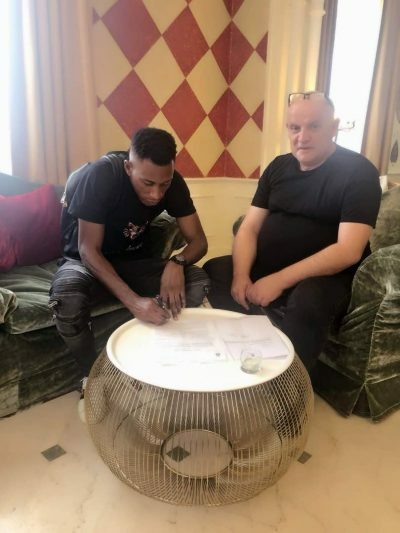 Oduamadi who ended his 11 year spell at AC Milan in the summer signed his contract in Milan on Friday. The 27 year old will arrive in Tirana next Wednesday to undergo his medicals at the club the player informed Completesportsnigeria.com. Oduamadi who previously featured for Torino, Varese, Brescia, Latina and HJK Helsinki is delighted at the chance to play after been frozen out of action by the Rossoneri in his final season at the club. “The darks days are over and I am happy get a good opportunity to play football,” Oduamadi told CSN. The Nigerian international will wear the jersey No.90 at the club.